The Sweetwater County Library currently subscribes to the paranormal magazine TAPS ParaMagazine. I try to take time to read its articles as time allows. Today I opened the newest edition for January/February 2014. On page 24 I found something that gave me a good laugh. Yes, I am a sick puppy. To understand the humor in this, you must be a frequent watcher of the SYFY Channel series Ghost Hunters. Steve Gonsalves is one of the key members of the TAPS (The Atlantic Paranormal Society) team. Steve suffers from several phobias such as fear of heights, bugs, flying, etc. Steve also is a man of many tattoos. He has “tats” on much of his body. Included in the magazine is the cartoon TARA Normal from the website TARA Normal.com and is created by Howie Noel. Those of us that deal with paranormal one way or another tend to find humor whenever we can. I know it is a serious subject, but it can also make you laugh. 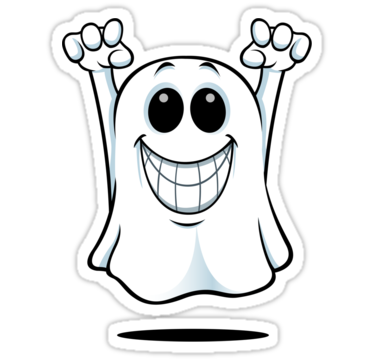 Example: During the filming of Ghost Hunters, Jason Hawes, the founder of TAPS, will find a way to sneak up on his team members when they are not expecting it. It always gets a laugh. Life can be too serious and I tend to think like they do, laugh when you can. One of my favorite story of the haunted library is a humorous one. My good friend Cindy Moore had started working for the library in 2003. New employees usually have many questions about the ghosts or haunting and Cindy was no exception. She knew about the Ghost Log and had looked at it but really paid it no mind. Like all new employees she set about learning her new job and taking care of business. This is the story she told the morning after her first evening shift. Like all Circulation and Reference staff she had to work one evening shift. The shift was about to end and it was her duty to close up the Multi-purpose Room and back area of the library. She remembered the stories about the ghosts and the reports that were listing the Ghost Log so she was a bit apprehensive. As she entered the back door of the Multi-purpose Room she said she suddenly saw something big and scary. It startled her so much it made her scream out. Cindy then offered to show us what happened. As she walked along the path she had walked the night before, she told us how she was a bit nervous about being there at night and being alone in the room where many paranormal reports had been reported. As the staff followed her to a door, she opened it and she said “Do you see it? Isn’t it scary?” What we saw was Cindy’s reflection in a full-length mirror that is mounted on the opposite wall in the back hallway. In the dark it must have truly given her a scare. We all had a good laugh. Just remember, we all have our work to do but…… no one says we can’t have fun doing it!! During our ghost hunting or Ghost Walks at the Sweetwater County Library, the search for good evidence is always key. Many tools are used to help us with this, such as KII meters, EMF Detectors, digital thermometers, digital recorders, cameras and of course camcorders. Many of you have been gracious enough to share your EVP recordings, videos and photos. It is always appreciated. Out of all the evidence, few videos are available. It seems a rare gift when we are able to capture anything on a camcorder. There is a theory that the spirits are shy and may not want to have their likeness captured. We hope not. During several of the Ghost Walks I have asked the spirits to allow us to take their photo. Each time we try there is always the hope that we will actually capture a wonderful image or video. It is usually not the case. Try as I might, I have not been able to gather any footage of a full bodied apparition. I was able however to catch some footage while one of the Ghost Walk tours was in the Staff Lounge. As you will see, the footage is of the KII hits as we were asking questions. Please notice, I placed a red ball in the center of the table. The lights from the KII’s reflect off the ball, thus showing when they light up. Each Ghost Walk our goal is to try to gather as much evidence as possible to show possible proof of spirits residing in the library and surrounding area. Generally it is people like you that are the lucky ones that have caught the best evidence. With all our continuing diligence and dedication it may be possible to prove once and for all that “spirits” are real. Our hope it that anyone that has caught or in the future catches good evidence, please share with us. We are always happy to post any photos or videos that you might bring in. Thanks again to all of you that have been willing to share. Without you we would not have the wonderful evidence on record. Also thanks to PI Team of Utah for sharing their video evidence. Your team is always appreciated.